As a small business, keeping the cashflow steady is a constant quest towards making healthy business decisions. These decisions are a collective knowledge of accurate and updated financial data. However, with growing businesses and an increasing number of customers and stakeholders, maintaining accounting and bookkeeping becomes a challenge. Tracking money flow and managing finances in-house requires expertise and a dedicated team. 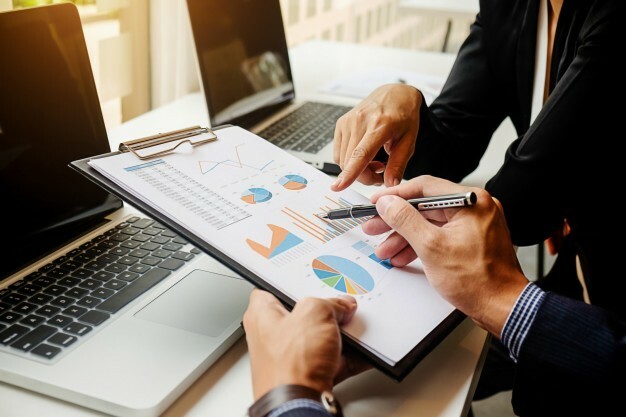 Accounting and bookkeeping services can give businesses access to an experienced team, precise financial data, updated records, and expert financial advice. Let’s analyse how accounting and bookkeeping services in Pune can assist small businesses in increasing their ROI. As accounting and bookkeeping services are primarily thought to be compliance, tax, payroll, and financial management, the actual potential of these services is often overlooked. In order to fully utilize the bookkeeping and accounting services, it is essential to understand the responsibilities of these roles. From paying bills and invoicing to payroll and expenses, the bookkeeper handles all the financial functions of the business. This person will ensure that the financial data record is accurate, clear, and updated every time. Accountants oversee functions and working of bookkeepers and also perform additional tasks. This person will review accounts, prepare payroll, balance the accounts so that they are accurate, and maintain income statements. In a complete accounting department, the controller sits above the accountant and ensures accuracy of accounting and bookkeeping activates and looks after procedures and policies. The CFO comes on top of all these functions and develops a strategic future approach. For a small organization, forming a full team may be hard but acquiring similar organized services need not be. This can be achieved through accounting and bookkeeping services in India. Here are some benefits of these services. When accurate, transparent data is delivered to the business in real-time, the decisions, planning and execution of operations are automatically streamlined. Informed decisions can be made to maximize the output of efforts. Outsourcing accounts and bookkeeping optimize the overall operations which help reduce redundancies. The complicated data entry is decreased and reporting is organized to provide actionable information instantly. Even with a shortage of just one employee, the whole accounting and bookkeeping system can fall apart for small organizations. However, this is not the case with outsourcing. The risk of retaining staff is decreased, as the service provider will look after it. The compliance, regulation related errors are also mitigated as experts take care of the company’s accounts and books. When business owners have accurate, important data available at their fingertips, it is possible to decrease additional costs. Businesses can mitigate the unnecessary overheads, pull the strings and reduce expenses, and optimize spends to increase profits. With precise numbers available, developing strategic growth plans is simple. Small organizations can set goals and actually measure the results. They can also tweak the ways and processes to progress towards the set company goals. Think about it – the cost of hiring one accountant and one bookkeeper can be more than outsourcing these services. A small company may be hiring these resources for the internal operations exclusively but the outsourcing provider hires these resources for various clients. This reduces the cost per client and the efficiency is high as it is achievable for the outsourcing partner to hire expert and skilled resources with more experience. With a full team working for a small business but no one on their payroll, the overhead costs decrease. Businesses can shed the responsibility of looking after extra work or pay for sick leaves, incentives, training, management, retentions, etc. They would only pay for the services acquired from the outsourcing partner. Even when employees leave, the retention and finding new staff will no longer be on the company’s shoulders. In fact, the workflow will not be interrupted which would be the case if in-house employees leave. Accounting and bookkeeping services let small organizations streamline business operations, efficiently execute financial functions, and increase throughput. All these factors together contribute to increasing ROI as with enhanced business decisions, the strategic goals are accomplished faster. Hence, outsource accounts to improve productivity and optimize operations. With the expert and proficiency of service providers like Paysquare which provides end-to-end accounting services to small, medium and large sized businesses, you can rest the burden on their shoulders. With a vivid combination of technology and expert practices, they only strive to deliver nothing but the best!